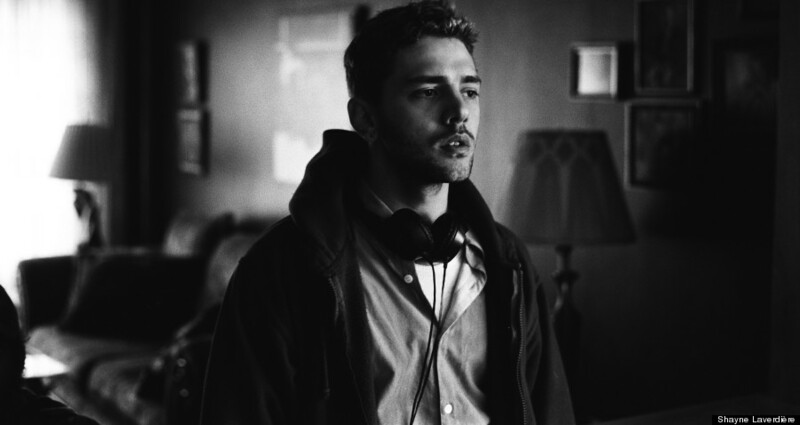 Xavier Dolan may be 25 years old, but the French-Canadian filmmaker already shares two things with cinema legend Jean-Luc Godard: the 2014 Cannes' Jury Prize and an audience erupting into applause over their films' unprecedented technical achievements. But Dolan’s creative innovation is hardly the only reason for such acclaim; with five films under his belt already, the filmmaker has quickly proven himself a unique and inspired talent to be recognized. He wrote directed, produced and starred in his debut film, 2009's "I Killed My Mother," at age 19. Next, he's planning to work with Jessica Chastain and Kathy Bates. Now, though, it's "Mommy" that has his attention. The film, which debuted at last year's Cannes Film Festival, follows working single mother Diane "Die" Deprés (Anne Dorval) as her troubled, violent teenage son, Steve (Antoni-Olivier Pilon), arrives to live with her after a stint in juvenile hall. Die, as emotionally puerile (or free-spirited, however you perceive it) as Steve -- she signs her name with a heart above the "I" with a pen from her clunky, bedazzled key-chain -- gains help from her neighbor Kyla (Suzanne Clemént). But similar to Dolan's other work (which you can watch on Netflix, save for "Tom at the Farm" which Dolan confirmed is coming to the U.S. soon), what "Mommy" does best is examine raw relationships and the emotional trauma we each quell and manifest in our own ways. Easily Dolan’s most accessible film to date, “Mommy” fosters an intimacy between its characters and the audience, partly due to the relatability of Dolan’s writing and partly due to the 1:1 aspect ratio, which Dolan recently told HuffPost Live was used to emphasize a “focus on human beings" in the film. But, while Dolan may receive praise for his work as a director and writer, he still considers himself an actor first. HuffPost Entertainment sat down with Dolan at the Mercer Street Hotel in New York to talk about his predominate love of acting, why he reads all his films' reviews and how he’s a champion for mothers and the female perspective. “I Killed My Mother" is told from the son’s perspective. Here, we get the mother’s. How was that to write? I've been embracing mothers' points of views for five films now. “I Killed My Mother” was written from the point of view of the son, but saw the mother win in the end. She was the one who had the most emotional scenes and who ended up being both the victim and the hero. I've always embraced the mothers' points of view, I've always fought for mothers. In “Laurence Anyways,” Nathalie Baye is Laurence's mother, and she is quite an awful mother. Still, she is the only one in the end who truly accepts her daughter. So, no, it wasn't difficult to write that. It's actually more easy to embrace women's point of view and especially mothers'. What is it like not acting in this film, as well as “Laurence Anyways”? Very cruel. I don’t really mind not being a part of a film -- because if there is no part for me, I will never force myself upon a film. I feel like it’s just a distraction. If it is not organically incorporated into the story, it just feels like a stupid appearance, like a sort of wink. I hate that. I feel like in “Mommy” that would be really distracting and cheap. So I ended up not acting in the film. But when I edited the film and I saw it, and people started talking about the acting and the performances, then it’s sort of hard. Do you foresee any roles for yourself in your future films? Well it’s hard for me to write any roles for me because people can hardly accept that I’m doing nothing and playing nothing in “Tom at the Farm.” They just can’t deal with the fact that there are just too many single shots of me and that I’m a narcissistic pervert or whatever they love to call it -- just because I dared filming myself in this film. Well, I’m the lead, what should I do? Only back shots? I don’t understand what they want from me. And it’s so hard for me to not be seen as an actor and for people to entertain and nourish this sort of artificial fact that I’m a bad actor or not an actor, because this is what I truly am, deep down first. You see yourself more as an actor first? Not see, am. First and foremost, this is what I am. This is how I approach filmmaking, through the prism of acting. This is what sponsors every decision. This is what motivates every move, every reaction. So yeah, it is becoming harder and harder to think of a future where I will solely direct, and I won’t ever, because it’s never going to happen. I’m just wondering who will wanna work with me like I love working with actors, who will accept me as an actor, who will want to challenge me, who will believe in me. It’s been so hard being believed in as a director. It was so hard to gain people’s faith and attention and credit. Do you feel like you have now? What do you think that switch was that got you more attention? I don’t know, I think the film works better than the others. How so, in your opinion? I think it’s a matter of balance. You learn from your mistakes. And I read all the reviews, all of them. Do they change how you write? Of course. Not in the fact that I start writing to please others or that I write out of fear of displeasing them, because that would completely blindfold my creativity and restrain me to not being myself to please people who will never love me any way, and will keep me from expressing myself and ideas. But some of those reviews are extremely educational in what they point at in terms of success or in terms of flaws. Some of them are right, some are wrong. It’s all about learning how to read them, how to process them. I’ve been trying to do that in the past years and maybe “Mommy” mirrors that acknowledgement of people’s vision of my work. It’s important to see how people see your work and how they feel about it. I know a lot of directors who are like, “I never read reviews,” and I’m like, yeah I can tell. Because they just don’t grow or change? Well, no. They’re themselves and they keep doing their shtick. But I think you still have a signature mark through all of your films. Yeah, I certainly hope you can call it -- I do try to adapt my tastes and my instincts and decisions to a movie’s story. I think that’s what I’m really striving for, is proper storytelling being predominant in filmmaking, being what matters, and acting. I hope you keep acting. “Heartbeats” was one of my favorites. Thank you. But if only you knew, there are so many things I can do more than those pale roles I’ve given myself alongside female leads, whom had all of the fun stuff and meat. I’ve always cast myself, I’ve always put myself in the corner when I act in my own films, which is why it feels so essential now to be acting in other people’s movies. Do you think you’ll be acting in your new film with Jessica Chastain, “The Death and Life of John F. Donovan”? "Mommy" opens in limited release Jan. 23. Uma Thurman arriving at the Palm D'Or Ceremony, the Palais du Festival, part of the 67th Festival de Cannes.